While the impact of partnering with GoodWeave is profoundly far-reaching, the process couldn’t be more straightforward. Ask us about how to become an Industry Partner. 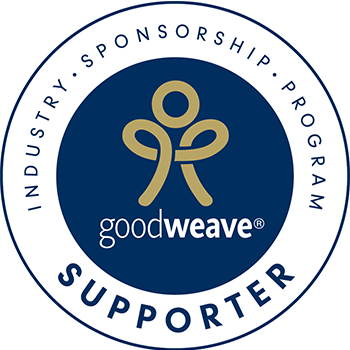 For more information, contact Partnership@GoodWeave.org or +1–202–234–9050. UK retailers and showrooms can contact Fay@GoodWeave.org or +44–844–2437838.